Nick Sibicky’s “Double Digit Kyu” class for intermediate kyu-level players. 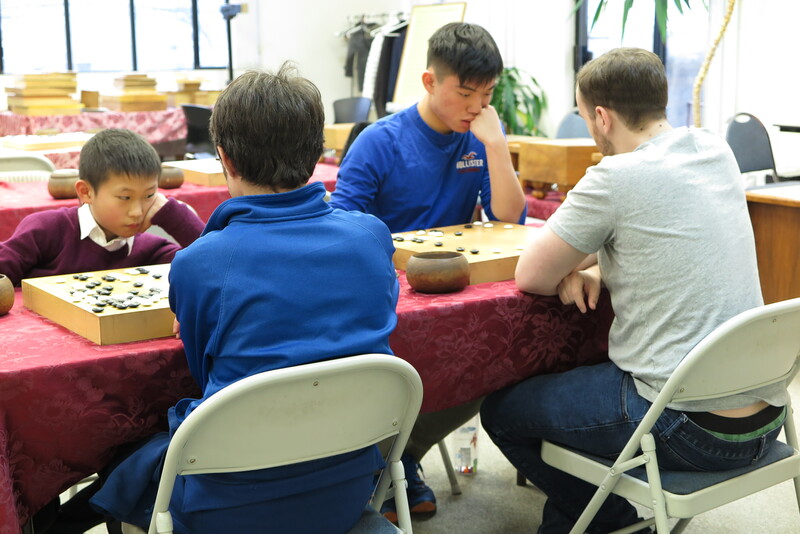 Our priority is teaching beginners and intermediate players for free between 3 – 9 PM, but everybody can find a game. Wednesday 6:00-7:00 PM, “Programming Computer Go”; then “Go Basics” 7:00-8:30 PM. Instruction for Complete Beginners 6:30 – 8:30 with Larry Eclipse New students are welcome. 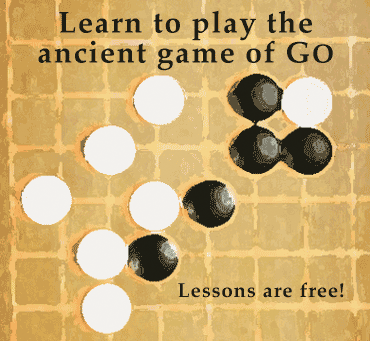 Thursday “Advanced Go” 7:00-9:00 PM (register in advance). Good day for a game — all levels, but not as big as Tuesday. Instruction for beginners. Speed League Go tournament, 2nd Saturday of the month. Shogi games and lessons, 3rd Saturday of the month.